The Offer in Compromise program is a formal way to negotiate your debts with the Internal Revenue Service. It’s a time consuming process, and take anywhere from one to two years to achieve a successful resolution on your offer application. Not to mention, the odds of succeeding are pretty minimal. There are many precautions to take before seeking IRS relief, as there are many scammers out there. About only %15 of applicants succeed in reducing their debts through the Offer in Compromise program. Personally, I have never had an offer rejected. The difference between the scammers and me is that they charge huge fees to do offers, without ever pre-qualifying the client to make sure a settlement is a viable option. I, on the other hand, will not submit an offer without an extensive pre-qualification, so I only do offers I know I am going to win, and that’s why I’ve never lost. Through an Offer in Compromise, the taxpayers agree to pay the IRS only the reasonable collection potential instead of the full amount of taxes owed. For some, the ‘reasonable collection potential’ will be less than the full amount of taxed owed, and sometimes far less. 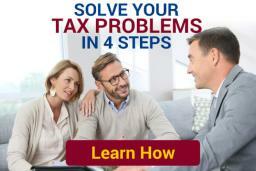 This program is offered for putting your debts behind you and starting new with tax relief. An Offer in Compromise is an outcome that best benefits the taxpayer as well as the IRS. There are a few types of an Offer in Compromise tax settlement program for your IRS and tax settlements. 1. ‘Doubt as to Collectibility Offer in Compromise’ is when the IRS looks at a taxpayers ability to pay, based on assets, living expenses, current income, and future earning potential to decide how much they will accept as a tax settlement. 2. ‘Doubt as to Liability Offer in Compromise’ is when the IRS does not consider the income and assets of a taxpayer in deciding how much they will accept as a settlement amount. This gives taxpayers who have a legitimate doubt that they owe all or part of a tax debt an opportunity to settle their debts for less than they owe. These offers are not available to taxpayers who have already litigated their tax debt in court and lost. 3. ‘Effective Tax Administration Offer in Compromise’ is when the IRS considers all facts and circumstances in determining an IRS debt settlement. These offers are appropriate for taxpayers who owe an undisputed debt and face outstanding circumstances other than their financial ability to pay. On the contrary– it is difficult to achieve. Some taxpayers will not qualify for an Offer in Compromise. Because of the complexity of filing an Offer in Compromise, many people seek the help of tax professionals for their tax relief. Click here for more information. Before the IRS will consider an offer, there must be a real doubt as to the IRS’s ability to collect the tax debt. If they reject an offer, they should provide a written statement of reasons why. The taxpayer can then file a new offer, or appeal the denial with the appeals division. When submitting an Offer in Compromise, taxpayers must use the most current version of Form 656, Offer in Compromise, and must also submit Form 433-A, Collection information Statement for Wage Earners and Self-Employed Individuals, and/or Form 433-B, Collection Information Statement for Businesses. A taxpayer submitting an Offer in Compromise based on doubt as to liability must file a Form 656-L, Offer in Compromise (Doubt as to Liability) Instead of Form 656 and Form 433-A and/or Form 433-B. The offer should also include a discussion explaining the reasons than an Offer in Compromise is appropriate for a tax settlement. The submission of the offer waives the statute of limitations for collection for the duration of the offer plus one year thereafter. When the IRS receives an Offer in Compromise, it is sent for review to an offer coordinator for the IRS district. The offers are reviewed to determine if the individual is currently paying taxes, has filed all tax returns, and are not currently involved in a bankruptcy proceeding. Then, it is sent to the service center for a search of tax records to determine the exact amount of tax due. Lastly, the Offer in Compromise is sent to a Revenue officer for further investigation. The individual may be required to submit financial records or bank statements. Many tax preparers will quote you a reasonable price for your Offer in Compromise. Such preparers will prepare your Offer in Compromise forms, but will not prepare the necessary backup documentation, and they will not offer IRS and tax relief by negotiating with the IRS for you. They will only type up the appropriate forms and mail it to the IRS. The IRS will most likely send a rejection letter. Essentially, this is a waste of time and money. Filing an Offer in Compromise requires significant expertise. For your tax and IRS relief, and essentially for your benefit, find a tax professional that well qualified, experienced and personable. Also, be aware that even most successful tax professionals have lost Offer in Compromise cases. Personally, I have never lost a case because I require such an extensive pre-qualification. Having a tax professional represent you before the IRS will help ensure that all phone calls and letters from the IRS are handled timely and professionally. This is an excellent solution, providing much tax relief and benefit. If you think you might benefit from this program and want to talk more about it, give us a call, or send us an e-mail here.